Who can “Spot the Rock” this week? Last week’s “Spot the Rock” was another toughie, but we did have one correct guess. 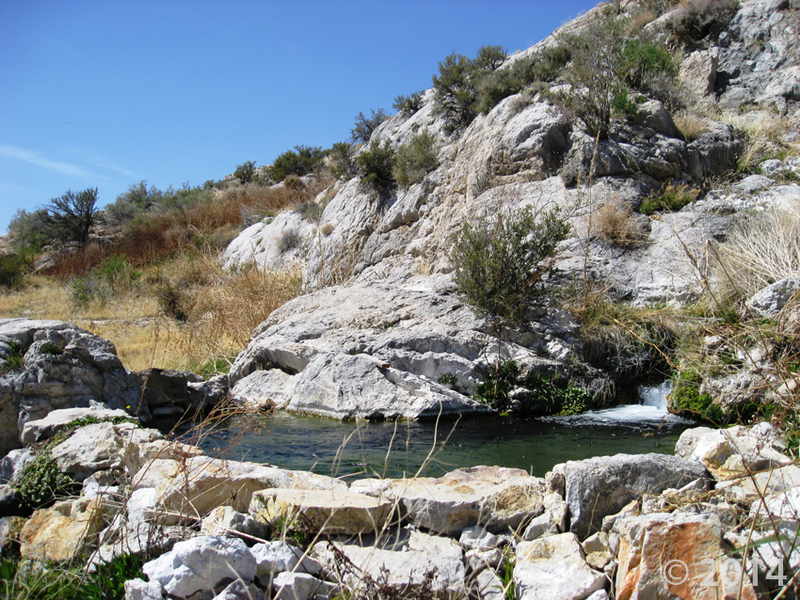 Gandy Warm Springs is located half a mile from the Nevada border at the southern base of Spring Mountain (Gandy Mountain) at the western edge of Snake Valley, Utah. Multiple springs come from the sides of the mountain and cascade into a constructed pool made of Cambrian limestone cobbles and boulders. The main spring at Gandy emerges from a cave (Beware Cave) below the soaking pool, discharging an enormous quantity of geothermal water (~81˚F), at nearly 9000 gallons per minute, which flows east as Warm Creek (Gandy Creek). Great guesses, and keep an eye out for tomorrow’s next “Spot the Rock”! Special POTD submission, August 29, 2013: Fremont Indian State Park, Sevier County, Utah.